The NEW 3D puzzles from Playmobil. 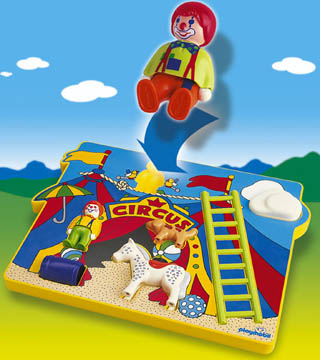 Play and do a puzzle with the Playmobil Circus Puzzle. The Playmobil 1*2*3 Circus Puzzle features actual Playmobil 1*2*3 circus figures that fit in the puzzle spaces so kids can play with the figures and experience putting together a puzzle. Ages 18 months & up.